Discover the secrets of fishing the Jefferson and other nearby rivers with Montana's top guides. Montana Angler Fly Fishing offers guided trips and world class lodging packages on the Jefferson River and other legendary waters. Outfitter #10770. The Jefferson River begins near Twin Bridges, Montana, with the confluence of the Beaverhead River, Big Hole River and the Ruby River. It flows for more than eighty miles to its confluence with the Missouri River at Missouri River Headwaters State Park in Three Forks, Montana. 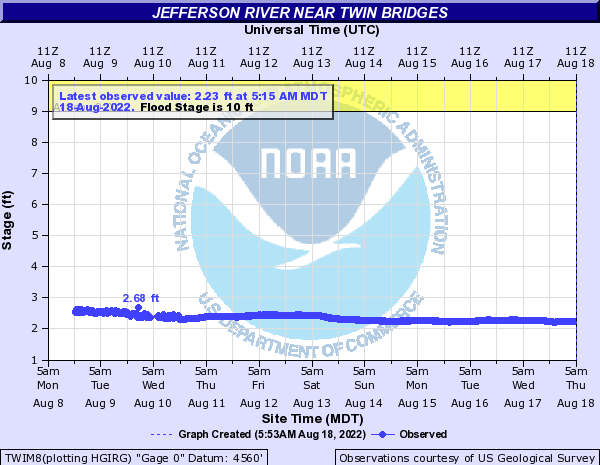 The Jefferson River is not in the same league, fishing wise, that its more famous neighboring rivers are. The current is slow, and irrigation can literally takes a heavy toll on water levels during drought periods. Wade fishing is somewhat difficult. The river is deep in many places and frequently is hemmed in by steep banks that must be scrambled down. The Jefferson River is divided into three rather distinct sections. The upper section meanders for fifty miles through a broad and arid valley at a moderately slow pace. The river banks are brushy and are frequently undercut. In the middle section, the river flows through a steep, arid canyon. A road parallels the river on one side while railroad tracks follow it on the other, providing decent access. The river flows slowly through this section and is often quite deep. The Jefferson River emerges from the canyon seven miles later and flows into another broad valley. In this section, the river has many braids and channels, especially near the State Park. Cottonwood trees line the bank while hay fields are a common sight. 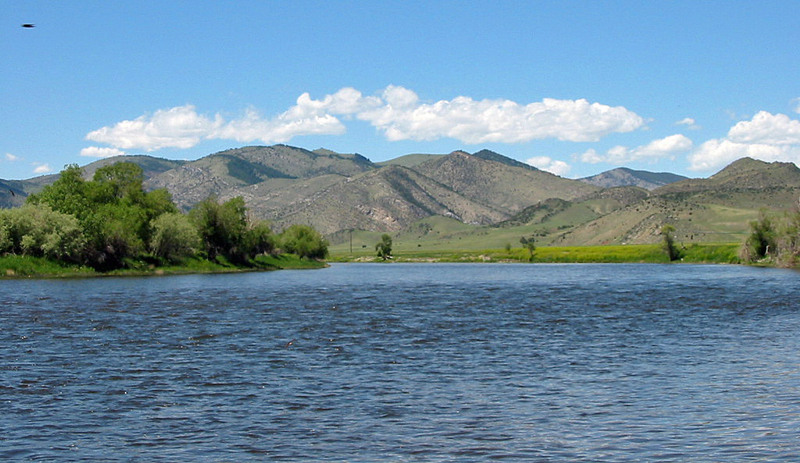 Throughout its length, the Jefferson River is primarily a brown trout river. For anglers seeking rainbows, jump across the mountains and hit the Madison River, head over to the upstream section of the Big Hole River or go further downstream and fish the blue-ribbon stretch of the Missouri River. Of course, the lack of trophy rainbow trout fishing on the Jefferson River does have one nice quality—lack of fishing pressure. Anglers who are searching for brown trout in a non-crowded environment are likely to enjoy fishing the river. 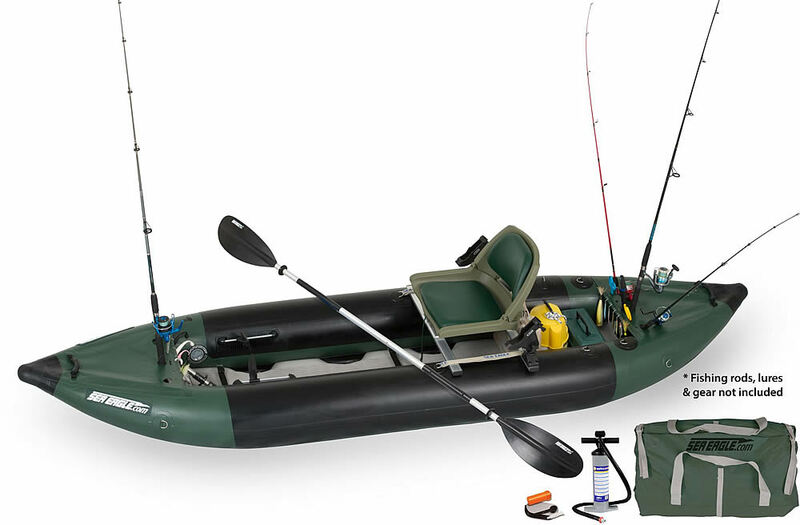 The Sea Eagle 350x Inflatable Fishing Kayak is ideal for solo anglers who need a boat that can run rapids and is easy for flat water paddling. More info about inflatable fishing kayaks. The Jefferson River, as mentioned, is predominantly a brown trout river. Rainbows, due to frequent low water and high temperatures, have taken a beating in the river. The entire river is currently catch-and-release for rainbow trout. The Jefferson River is a broad river. Float fishing is the best method to use when fishing the river. The best fly fishing is found in the upper section, between Twin Bridges and Cardwell. In this section, brown trout averaging twelve to fourteen inches are common. Since the river is inhabited primarily by brown trout, fly fishing on the surface produces little action. Fishing the Jefferson River, as in other brown trout waters, requires using large streamer or nymphs to catch the larger fish. During the summer, popular choices include Muddler Minnows, Prince Nymphs and Matukas. The Jefferson River does have solid caddis hatches, but the larger fish are rarely caught using an elk hair caddis or similar dry fly. For the angler who only wants to fly fish on top, solid action can happen in late summer using hoppers. The Jefferson River flows through good hopper country, especially on the lower twenty miles where hayfields frequently come up to the bank. Hoppers floated right along the banks can often entice large browns to the surface. The best and most consistent fly fishing on river happens during autumn. During the fall, the brown trout congregate at the mouths of the many inlet streams that feed into the river. The Jefferson River, as it is fairly wide and can be quite deep, is most easily fished by boat. The river does have very good access, but its depth and width makes reaching the prime fly fishing spots difficult for anglers lacking a fishing boat. This detailed guide deciphers the mysterious world of fly lines and explains fly line weight, fly line color, the best fly lines to use and much more. The Jefferson River provides an easy float for anglers of any ability. No rapids are found anywhere on the river and the current is generally slow. The fastest flows on the river, which aren’t especially fast, are found in the upper section between Twin Bridges and Cardwell. Below this section, a canoe, an inflatable canoe or flat water inflatable kayak may be the best boat to use, since frequent paddling is needed due to slow flows. Low water can also pose problems for floaters, especially on the last twenty miles. Irrigation for the hayfields that line the river take much of the rivers water. A number of braids and channels also exist on this lower stretch. Taking a wrong turn during low water can lead to long pulls of your boat over the streambed. 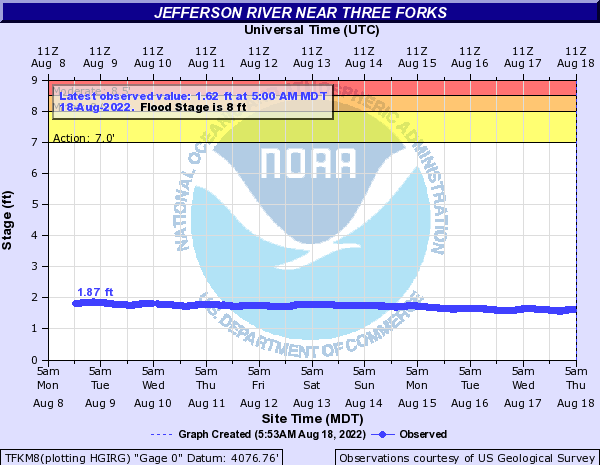 Several diversion dams exist along the Jefferson River that, depending on river flows, may need to be portaged. The first dam is located at the Parsons Bridge Access Site, twenty miles downstream from Twin Bridges. The second dam is found eight miles further downstream. 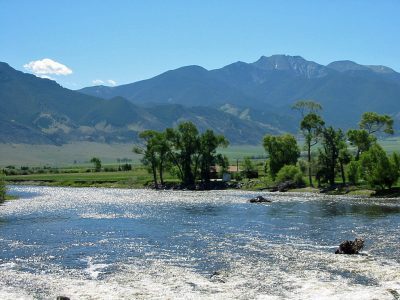 Listed below are selected river miles for the Jefferson River in Montana. Visit the Montana FWP website for information about selected fishing access sites (FAS).